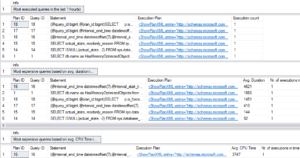 Here you can easily find the many different Query Store related scripts and solutions I developed and maintain. The Query Store Dashboards are custom reports that you can use directly inside SQL Server Management Studio and show you query performance through various graphs. 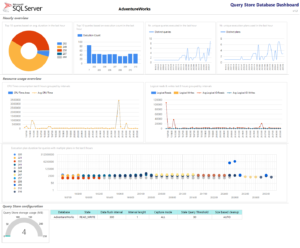 The Query Store Dashboards are available as a per-database and an Instance wide dashboard that aggregates query performance for all Query Store enabled databases. sp_WhatsupQueryStore is a Stored Procedure that retrieves a wide variety of information through the Query Store. sp_WhatsupQueryStore is easily configurable and can give you a quick overview of query performance without the need of writing complex queries. 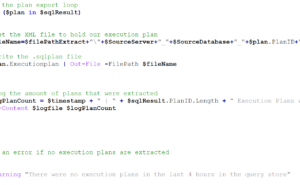 The Query Store Replay script is a Powershell based script that can extract and replay your query workload directly from the Query Store to another database. Query Store Replay is easy to use and has a minimal-to-none impact on the database where you extract your query workload from.